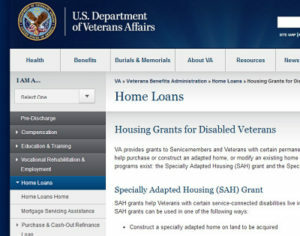 The US Department of Veterans Affairs offers grants for disabled veterans and service members with necessary home modifications. Schaffer Construction is an approved contractor for these Grant Programs. We understand what the Veterans Administration requires. We work closely with the agent and veteran. Read more on our Veterans page.